Naloxone is a medication designed to rapidly reverse an opioid overdose. Over 600 naloxone kits have been distributed to date at workshops led by BCHN community health worker Yaritza Holguin. 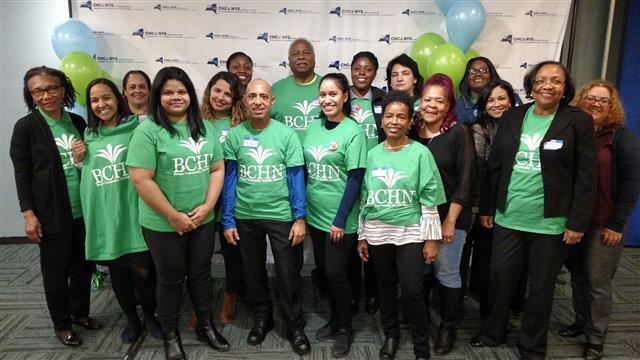 On February 23, 50 new people were trained and 68 kits were distributed at two events organized by BCHN and the Fordham BID. One of the trainees was Captain Alba N. Diaz from the Fordham Plaza Department of Public Safety. 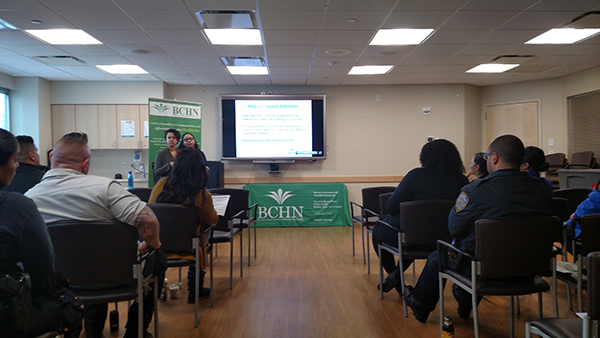 Just five days after the BCHN training, Captain Diaz was alerted of an overdose occurring in the paid bathroom at the Fordham Plaza Transit Hub. She immediately took action. Captain Diaz administered the first dose of naloxone but the community member did not start breathing. As instructed in the training, she then administered a second dose which immediately revived the person, who was taken to a nearby hospital for additional care. On March 5, BCHN joined other community health centers, board members and patients from across New York State in Albany for Community Health Center Grassroots Advocacy Day 2018. 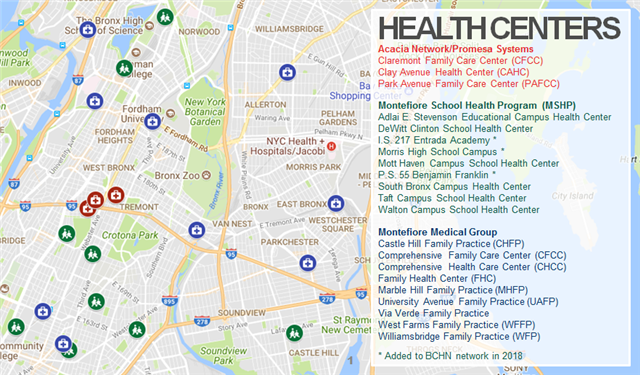 BCHN met with legislators and tell them how much communities in the Bronx depend on Federally Qualified Health Centers (FQHC) for high quality, affordable primary care services. 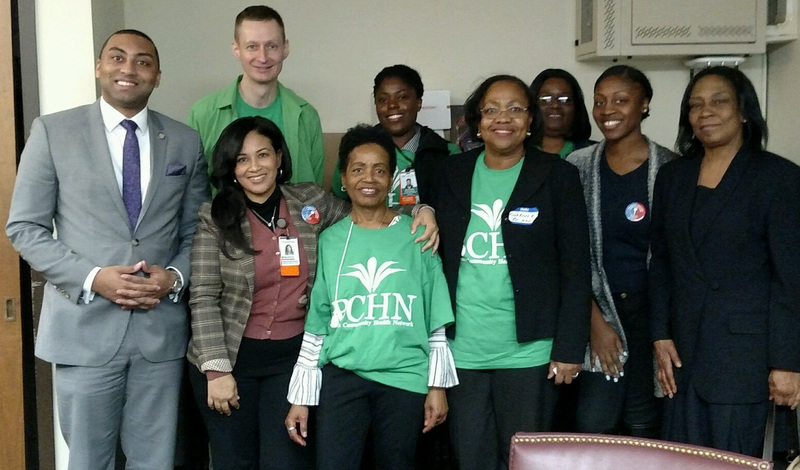 Pictured above with the BCHN team is Senator Jamaal Bailey, who represents New York's 36th district. A team of BCHN Board and Executive Team members traveled to Washington, D.C., in March for the 2018 National Association of Community Health Centers (NACHC) Policy & Issues Forum. During the four-day event, BCHN met with key health leaders and elected officials from around the country, including those in the photos above captured by Board of Directors member John Ruiz. The Diabetes Prevention Program (DPP) works to make it easier for people with prediabetes to participate in affordable, high-quality lifestyle change programs to reduce their risk of type 2 diabetes and improve their overall health. 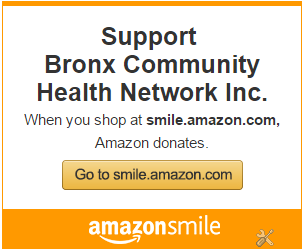 The program lasts for about one year, and focuses on dietary changes and increasing physical activity. The class meets weekly for 16 consecutive weeks, followed by a maintenance phase in which the class meets bi-weekly for about 3 months, and then monthly. The latest graduates in the BCHN network recently completed the DPP program at West Farms Family Practice. Pictured above with the new DPP graduates are West Farms Family Practice administrator Jonas Attuh-Mensah, community health worker Pedro Gonzalez and health educator Nereyda Franco. 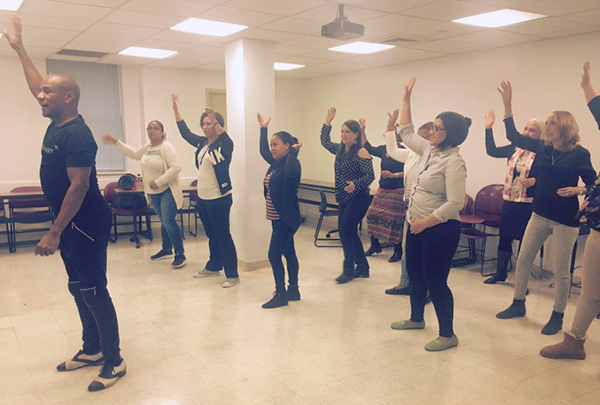 In March, BCHN held a successful bi-lingual workshop series aimed at reducing the risk of childhood obesity by addressing New York State's recommendations for physical activity in child care settings. 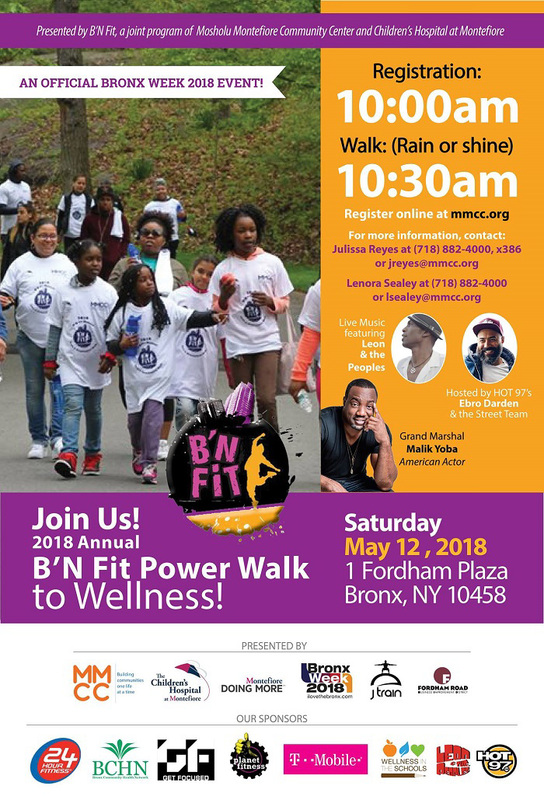 The Multicultural Age-Appropriate Physical Activity curriculum and toolkit, "Go Healthy with Little Ones, Structured and Unstructured Movement, Music and Rhythm for Children in In-Home Child Care Settings," examines cultural diversity, health, early childhood education and the importance of movement and music in early childhood development, while celebrating the cultural richness of the Bronx. 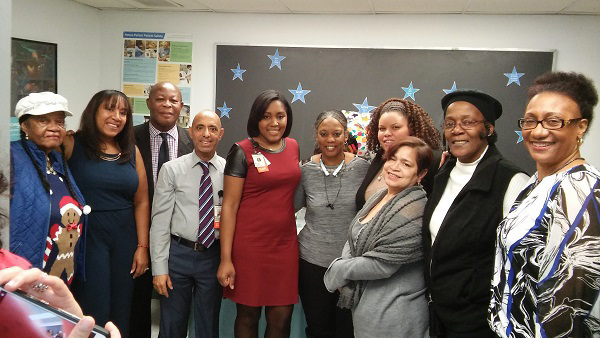 Bronx in-home child care providers participated in the workshops which were led by Dr. Margarita Lopez, PhD, trainer in early childhood education at the Women's Housing and Economic Development Corporation (WHEDco). Each provider received professional development credits, a copy of the curriculum and complementary items for use with the activities. They also benefited from West African and Afro-Caribbean dance demonstrations that could be used with the play activities.